We offer a range of rock climbing courses, including multi-pitch climbing courses in the Lake District and Snowdonia. We do not schedule these in advance on specific dates, as we prefer to make each one bespoke for you and adapt them to cater for different levels of ability and experience. You are probably already have some climbing experience, indoors or outdoors, although this does not necessarily mean you climb very hard grades. You can probably already tie in to your harness, belay a climber and know a few climbing knots. You probably enjoy walking and being outdoors and don’t mind getting caught in bad weather. 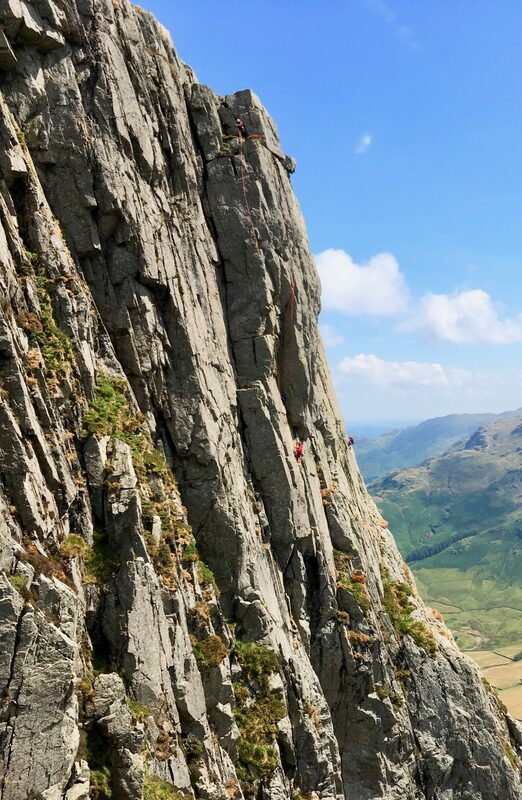 Our multi-pitch rock climbing courses are generally held in the Lake District or Snowdonia.